Rosenfeld Injury Lawyers LLC represents people with Invokana-related injuries suffered from drugs prescribed to treat diseases, medical conditions and illnesses. Our law firm has collected a series of Invokana injuries FAQs related to the medical and legal aspects of an accident involving taking harmful medications. Should you have additional questions, we invite you to contact our office for a free review of your legal rights. The drug has been associated with serious complications including life-threatening dehydration and reduced blood volume. The bad drug attorneys at Rosenfeld Injury Lawyers (888-424-5757) have represented many clients who have suffered severe injury or have died from taking Invokana. Our law firm has compiled answers to the most frequently asked questions about Invokana lawsuits and posted the information below. Have Others Filed Legal Action Against Invokana Drug Manufacturers? Many plaintiffs have begun filing lawsuits against Invokana. The plaintiffs have suffered kidney damage, kidney impairment, blood asset problems and other serious complications. Their attorneys have advised him that they are likely entitled to receive financial compensation to recover their monetary losses. In March 2013, the Food and Drug Administration made the initial approval of Invokana as a breakthrough in a new class of treatment medication that would provide symptomatic relief of Type II diabetes. However, it did not take long to identify specific diabetes drug complications that should have been added to the warning label. Many patients prescribed Invokana became severely ill, and many died from taking the drug. Today, there are thousands of open lawsuits filed against Janssen Pharmaceuticals, a Johnson and Johnson subsidiary drug manufacturer, about their failure to warn users about known specific risks associated with taking the medication. Am I in Danger of Developing Invokana Side Effects? If you are currently taking Invokana to treat diabetes or recently stopped taking the medication, you are exposed to the serious potential life-threatening side effects associated with consuming the drug. Before Invokana became available in the medical marketplace, the only patients who suffered from ketoacidosis were Type I diabetic patients who struggled with extremely high blood sugar levels. If the patient's condition is not immediately diagnosed, any delay in providing treatment could become life-threatening. Ketoacidosis is often referred to as DKA, metabolic acidosis, diabetic acidosis, and ketosis. Are There Risk Factors for Developing Metabolic Acidosis (Ketoacidosis)? Wasn't the Drug Approved by the Food And Drug Administration (FDA)? May 2017 Black Box Warning that required the manufacturer to label the medication as dangerous because it doubles the risk of children foot amputations. June 2016 Safety Communication that strengthen the FDA's warnings over concerns of acute kidney injuries that led to kidney failure. May 2016 Safety Communication where the FDA warned patients involved in an Invokana clinical trials that showed double the risk of foot and leg amputations that mostly affected the patient's toes. December 2015 Warning Label Update where the FDA warned Invokana users involved in dozens of ketoacidosis cases over a two-year period that was linked directly to the SGLT2 inhibitor. 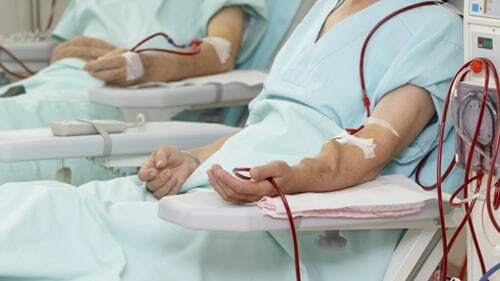 The Food and Drug Administration also warned patients of the link between Invokana and severe urinary tract infections that resulted in life-threatening complications including urosepsis (bloodstream infections) and pyelonephritis (kidney infections). September 2015 Safety Communication where the FDA warned patients of the associated risk of bone fractures and decreasing bone marrow density that developed just months after beginning Invokana. May 2015 Safety Communication where the FDA warned patients that taking Invokana has led to diabetic ketoacidosis where the bloodstream is filled with too much acid. Are There Other Drugs Like Invokana That Also Cause Serious Problems? Numerous SGLT2 inhibitors including Farxiga, Invokamet, Jardiance, Glyxambi and Xigduo XR might also contribute to the elevated risk of developing severe medical side effects like those caused by Invokana. What are my Legal Remedies if I Develop Invokana Side Effects? If you or a loved one have suffered from ketoacidosis or other associated symptoms from taking Invokana, you likely have a case for financial compensation. An attorney working on your behalf can determine if you need to file a case directly against the Invokana manufacturer or join the multidistrict litigation in federal court. How do I Know I am Eligible to File? If the doctor prescribed you or your loved one an SGLT2 inhibitor and you suffered any common drug-associated side effects like diabetic ketoacidosis, ketoacidosis, kidney failure or life-threatening ketosis, you might be eligible to file a compensation claim or lawsuit. Additionally, surviving family members will likely have the right to file a wrongful death lawsuit to ensure they are compensated for their loss of their loved one from a wrongful death. Is There a Time Limit That I Must File a Lawsuit? The state provides a maximum time limit where you must file a lawsuit or compensation claim against any drug manufacturer for damages or lose your chances of monetary recovery in the future. You must file a claim against the manufacturer before the expiration of the statute of limitations or forever forfeit your ability to seek monetary recovery for your injuries. However, the time limit may expire at various times in different cases based on the individual's facts and circumstances involving their injuries. How can I Pursue Legal Action Against the Manufacturer? If you believe that you or your loved one have suffered from ketoacidosis or other life-threatening condition associated with taking Invokana, it is imperative to see the doctor immediately. Also, you should seek out the advice of a competent personal injury attorney who specializes in bad drug cases. The Law Offices of Rosenfeld Injury Lawyers (888-424-5757) have represented many clients and surviving family members who have lost a loved one from the harmful side effects of defective medications. How Much Will Your Law Firm Charge to Review my Case? Our attorneys offer every potential client a no-obligation initial consultation at no charge to review their case. During the consultation we will provide numerous legal options on how to proceed. Our lawyers will listen to your unique circumstances and provide a thorough analysis of how we can benefit your family to ensure you receive adequate compensation for your damages. I Have no Money to File an Invokana Lawsuit. What Should I do? The Dangerous Drug Injury Attorneys at Rosenfeld Injury Lawyers (888-424-5757) provide legal representation to every client interested in filing an Invokana compensation claim or lawsuit. We handle cases through contingency fee agreements. This arrangement postpones payment of all legal services until after we have won compensation on your behalf or negotiated an acceptable out of court settlement. This agreement provides the opportunity to remain burden-free from financial worries until your case is financially resolved. You will never need to pay out-of-pocket to file a resolve your claim using our law firm. What Happens if I Die From my Injuries and my Case Is Still Open? The Pharmaceutical Liability Attorneys at Rosenfeld Injury Lawyers will continue to pursue your monetary recovery claim to ensure that your family is adequately compensated through your estate. Additionally, your family can file a wrongful death lawsuit separately from your case and seek their damages that could include recovery of your medical expenses, lost potential future earnings, loss of consortium and companionship, funeral expenses and burial costs. Don't Class Action Lawsuits Pay the Lawyers More Than the Plaintiffs? Many drug cases are handled through the federal court system in multidistrict litigation (MDL). However, in these cases, every plaintiff receives a unique settlement amount based on their individual damages and injuries, as determined by the court. The attorneys are paid a portion of this amount. The length of time it takes to receive compensation will depend on the extent of your injuries and your need for future medical care. The justice system will use a range of factors to determine the amount that includes the how long it takes to receive appropriate medical care and the damages occurred through side effects of taking Invokana. The court will also consider any temporary or permanent disabilities you acquired from the debilitating side effects of Invokana. What Compensation Should I Expect From a Lawsuit? The Drug Liability Attorneys at Rosenfeld Injury Lawyers (888-424-5757) will seek compensation on your behalf to ensure that you receive monetary recovery for physical, emotional and mental pain-and-suffering. Also, we will build a case for compensation to recover your medical expenses including hospitalization, surgical procedures, and all ongoing therapies, rehabilitation, and medical requirements. If your loved one passed away after taking Invokana or another SGLT2 inhibitor, your family would likely receive financial compensation to recover lost future earnings, and non-tangible damages including grieving, loss of companionship, loss of consortium, and burial/funeral costs. Recently, Invokana came under fire by the FDA (Food and Drug Administration) because the medication had been linked to several severe side effects. If you or your loved one were harmed by taking Invokana, you might be eligible to receive financial compensation for your damages. Other individuals who have developed life-threatening diabetic ketoacidosis or another debilitating side effect like heart attacks, kidney infections, amputations, stroke or other serious side effect after taking Invokana have filed suit against the pharmaceutical manufacturer for monetary recovery. Contact the dangerous medication attorneys at Rosenfeld Injury Lawyers (888-424-5757) to schedule a no-obligation case consultation at no charge to you. We prosecute Invokana injury cases. Let our law firm evaluate your claim and discuss every available legal option on how to proceed. Our Invokana lawyers fight aggressively on behalf of our clients to protect their rights when seeking justice and compensation from pharmaceutical manufacturers that market bad drugs. Our law firm accepts every wrongful death lawsuit, personal injury case, and product liability compensation claim through contingency fee agreements. This arrangement postpones the payment of your legal services until after we have successfully resolved your case through a negotiated out of court settlement or a jury trial award. All information you share with our law office remains confidential. What is Invokana? What are the Risks of Taking Invokana? Has the FDA Taken any Action Against the Makers of Invokana? What Does an Invokana Lawsuit Look Like? What are the Laws Surrounding Invokana? Have There Been any Cases or Settlements Involving Invokana? What Damages Could I Recover in my Invokana Lawsuit? Is There a Time Limit by When I Have to File my Invokana Lawsuit? Is There a Class Action Lawsuit Against Invokana? Why Hire Rosenfeld Injury Lawyers LLC?